Do you know someone who helped lay the foundation for Singapore’s nation building? 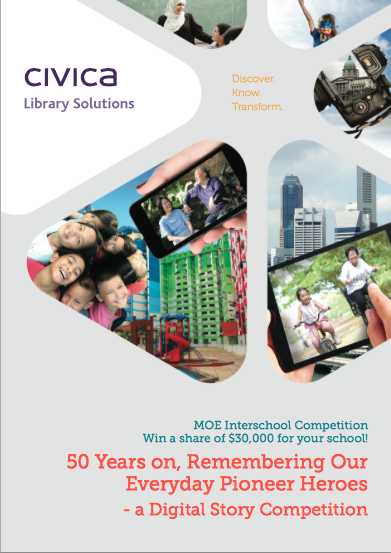 Civica is pleased to announce the MOE interschool competition Remembering Our Everyday Pioneer Heroes – A Digital Story. Interested? Click the links for competition information and FAQ. If you are keen, kindly approach Mdm Julie, School Librarian @ Info Hub.